While Apple might have overshot a little bit by introducing only a single connector port on its latest 12 inch Retina MacBook Air according to some, that ship hasn’t complete left the port if you ask us. Apple latest does manage to gain some serious ground in latest benchmark results. Also, while there’s only one port on the MacBook Air, its a USB Type C USB rating opens up a host of possibilities for the miniature notebook. The Retina MacBook Air will be able to support almost all major accessories supported by Type C, according to Apple. According to 9to5mac, who in more cases than less have some of the best scoop on Apple are now claiming that Apple’s thinnest notebook will now be able to support charging with battery packs. According to the publication’s ‘sources close to the situation’, the MacBook’s Type C connector will be able to support most accessories, and Apple will also be allowing battery packs to work with it. With MagSafe gone, a host of new possibilities has opened up for Apple and its notebook, and looks like the Cupertino manufacturer is looking to fully capitalize on it. The report goes even further to suggest that aside from external batteries, you might also be able use other Macs to charge the MacBook Air. With the inclusion of only one external port on its notebook, Apple’s going to need a complete new host of rules for accessories and by the looks of things, matters appear to be changing at One Infinite Loop. Without waiting however, manufacturers themselves have already started to show off Type C accessories including chargers, batteries and more. 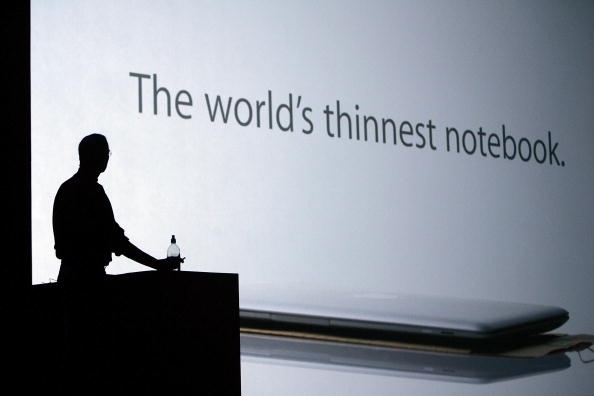 There’s still no word from Apple, though we’d expect more elaboration to take place in the future. Stay tuned to stay updated. And let us know what you think in the comments section.